The Telluride entertainment collection delivers on style and value. 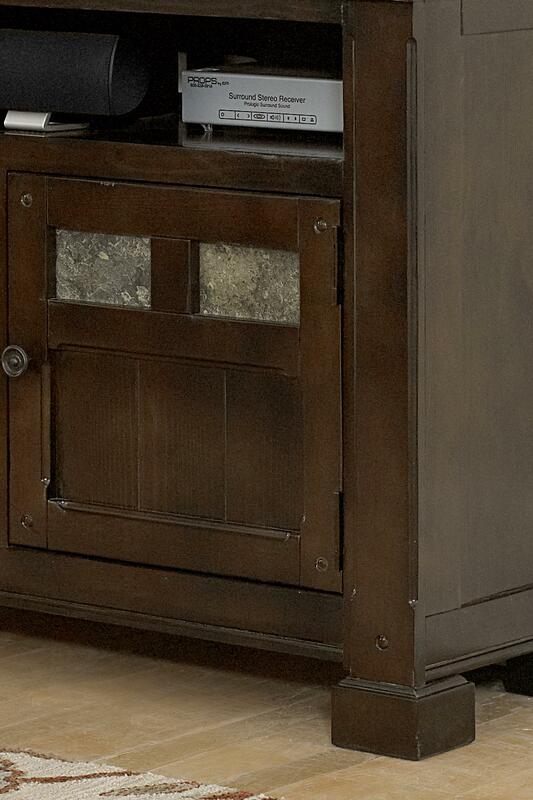 Your choice of TV stand each features real slate and detail at every angle. 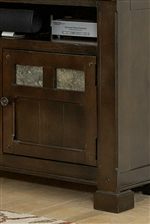 Design details include lambs tongue chamfer corners, framed beadboard door fronts and stylized block feet. The multi-step Mesa Brown finish contrasts with the beauty of the natural slate to create a focal point for your living room.